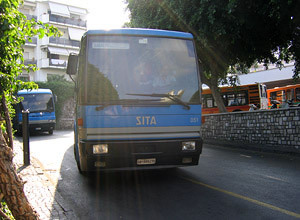 You can utilise the UnicoCostiera ticket for both the sita bus line and the Circumvesuviana. This is an integrated ticket that permits you to travel on board both the train and the bus of both companies. The ticket is validated on board and must be conserved until the last stop.